Mama Whale | Calvin Innes Illustrator, cartoonist, artist, author, designer & school presenter. One of hundreds of 'stock images' I've illustrated. 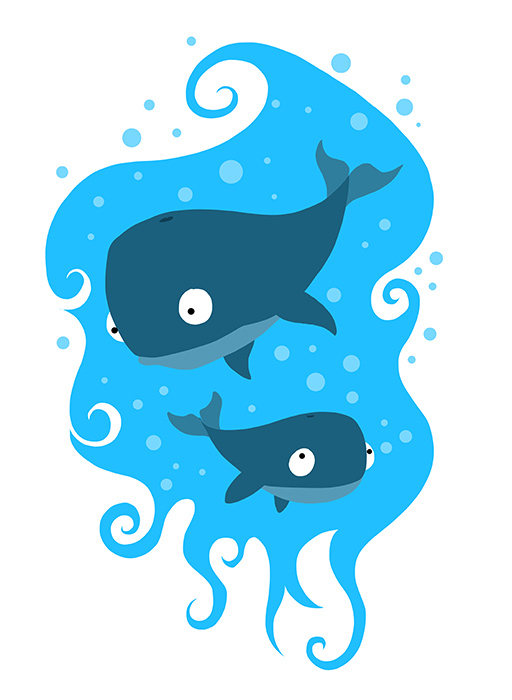 Mama Whale is a bright, cute illustration featuring two whales. One Mama whale and one baby whale. As with all of my stock images this is illustrated as vector art and rights are available to purchase for use in your own personal or corporate projects. View and purchase my stock art from the Calvin Innes Store.